Condominium located in highly desired gated development. Spacious open floor plan. Kitchen overlooks cozy living room with crown molding, fireplace & closet study. Large master bedroom with huge walk-in closet, separate shower and jetted tub. Spacious second bedroom with Australian closet. Good sized laundry room. You'll love being able to enter the condo from your garage. Enjoy your morning coffee on your own private covered balcony. 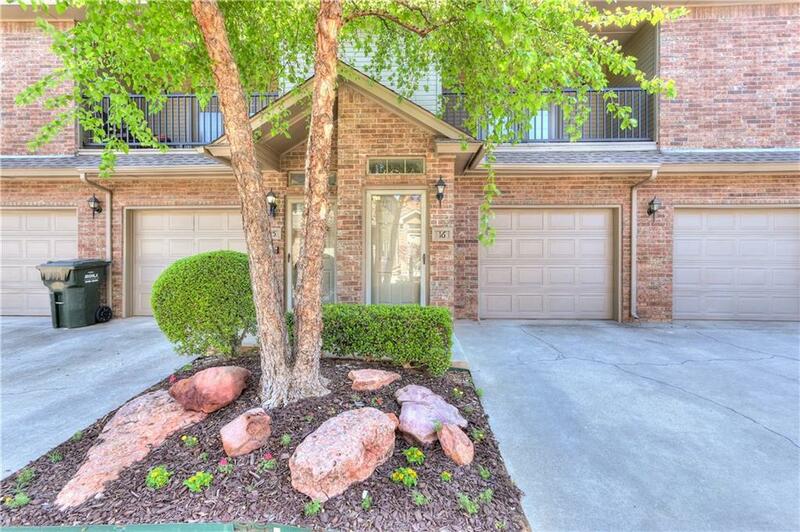 This unit is just steps away from the community pool. HOA covers gated entrance, pool, exterior maintenance, water, trash, sewer & lawn care. Offered by Judy J Veazey of Churchill-Brown And Associates. Listing provided courtesy of Judy J Veazey of Churchill-Brown And Associates.